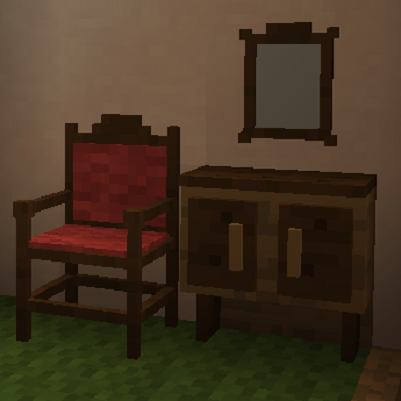 At the moment Landlust adds several decorative furniture blocks with an antique touch into the game. Most of them are somewhat functional too. 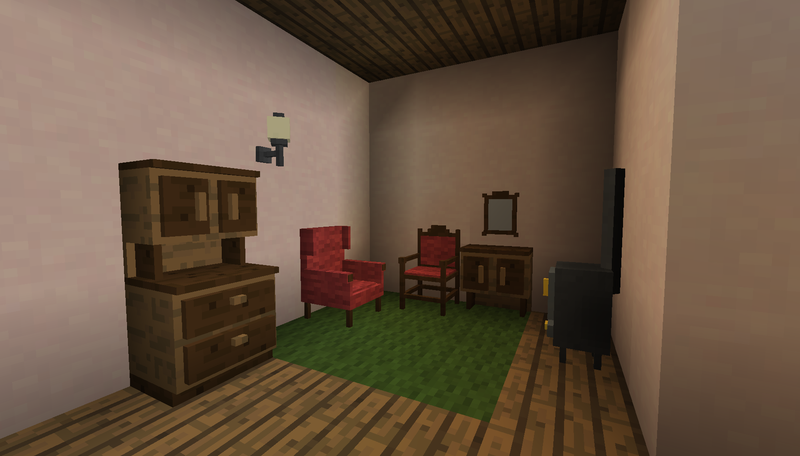 The whing chairs, footrests and fancy chairs can be colored by clicking on them with the respective color. 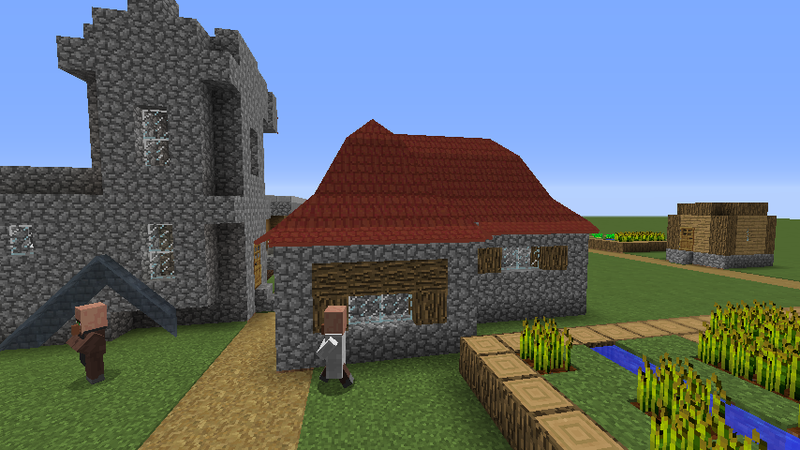 The textures for the roof blocks were taken from Alsnder's great Earthworks Mod as is allowed by its license. This is one amazing mod. While it's a bit annoying that you can't sit on the chairs, the whole thing adds a very rural touch that I like. I'll take this over MrCrayfish's mod any day. Way less glitchy and much better-looking. In my modpack, Conquest Colonies Arcane many players have noticed ghosted items from your mod that are randomly being placed in builds. The most common item has been the wardrobe. While the wardrobe is not visble, The One Probe and the likes sees the item as if placed. Also, a player may not walk through were a ghosted item is placed. The items cannot be destroyed, but take world edit to remove. Love your stove, but it's causing an error with Chisel! Something about burn time and stacks being invalid. It doesn't look like you're updating this anymore though? If you come back to it, would love to see more functionality and the error fixed. Got this in a 1.12.2 mod pack I'm using. So down hearted when I found out you CAN'T sleep in the bed or use the cooker! You can't sit in any of the chairs/seats. The only things I got to work are the Cabinet, Commode (more like a kitchen draws because a commode in England is more like a washstand with a place for the chamber pot or the 'Close Stool' chair). Both stoves work as well but nothing else. can you make the bed work as a bed? 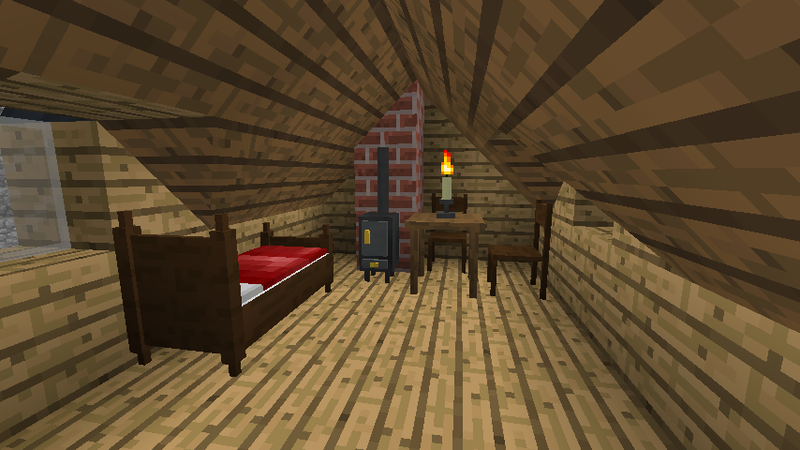 But, I have a few roofs that end in a single block, you have a block for the Clay Roof tiles, but not for the Slate.. is there going to be a minor addition for such? Thought I'd drop a friendly comment here letting you know I've linked here from CityCraft as we are using it for our modded server. I adore the aesthetic this mod provides to my worlds. It adds elegance while still being true to the "vanilla" feel. I especially love the cabinets, they provide a marvelous alternative to chests. I really do look forward to anything that you will add or as you refine this. 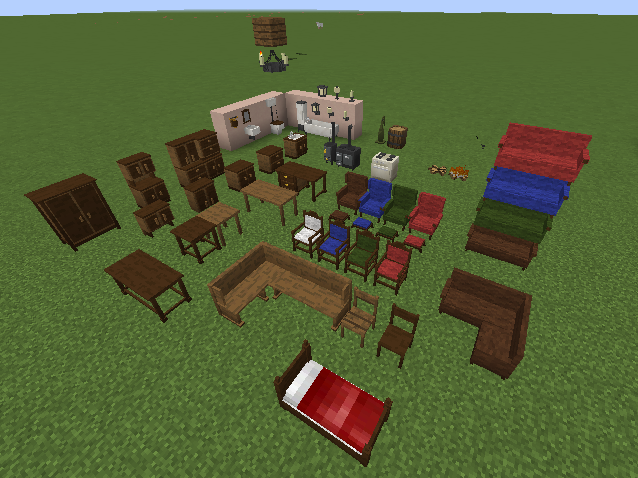 I have translated Landlust furniture into French. Could you please add this fr_FR.lang file to your mod in the next version? Thank you very much! But since I'm not very keen on opening random zip files could you please post it on pastebin or somethin similar? In the mean time I hope, I'll find the time to open up a github repo for Landlust during the weekend. That's weird. Which version are you on? The only flickering side I've found is the top of the boiler. The roofing should definitely have no z-fighting as there are no overlapping faces. Are you using optifine? I've noticed some graphical glitches when it's enabled and i'm not yet sure if they are due to optifine or mess-ups on my side. 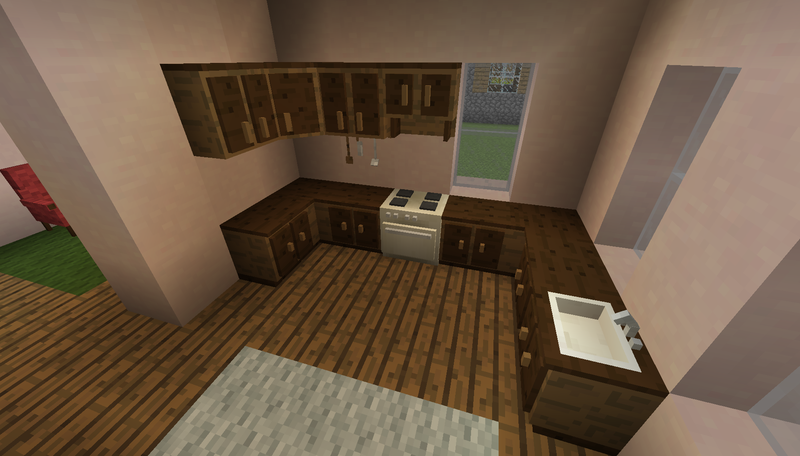 I've noticed this too, it looks like your blocks are rendering twice or something, specially the sink is pretty bad.